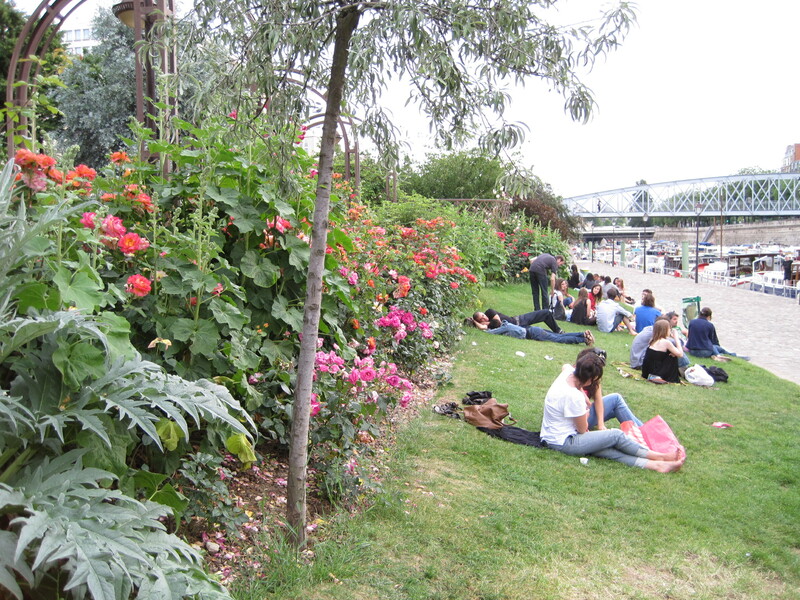 Parisians relaxing by the Rhine. It’s a grey Saturday in Seattle and I have nowhere to rush to. I’m daydreaming of June four years ago when I met my friend Lindsay in Paris to celebrate her 30th birthday. I’d been to Paris during a European backpacking trip in my 20s. I saw more cathedrals, castles and museums to last a lifetime in those two months, so I wasn’t big on sightseeing this time around. Sure, we saw many sights. Our apartment was close to the St Germain which we walked by dozens of times. We went to the Eiffel Tower in the evening to see it sparkle. I only recall a couple instances where we actually bought a ticket and went into a place. The modern art museum, Centre Pompidou, was my pick and for Lindsay we went to Monet’s home and gardens outside the city. 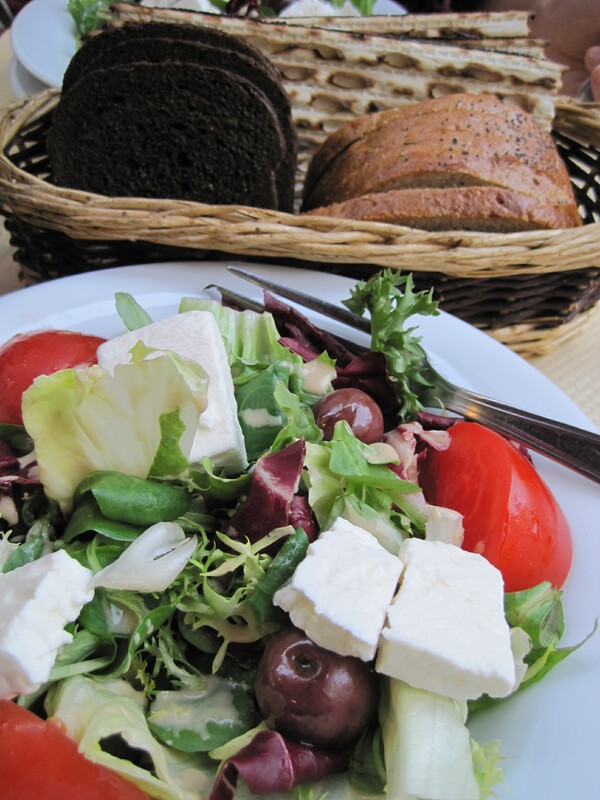 Most of our two weeks were spent walking, sitting outside cafes admiring Paris street styles, and eating. So much heavenly food. There are ice cream carts everywhere in Paris. 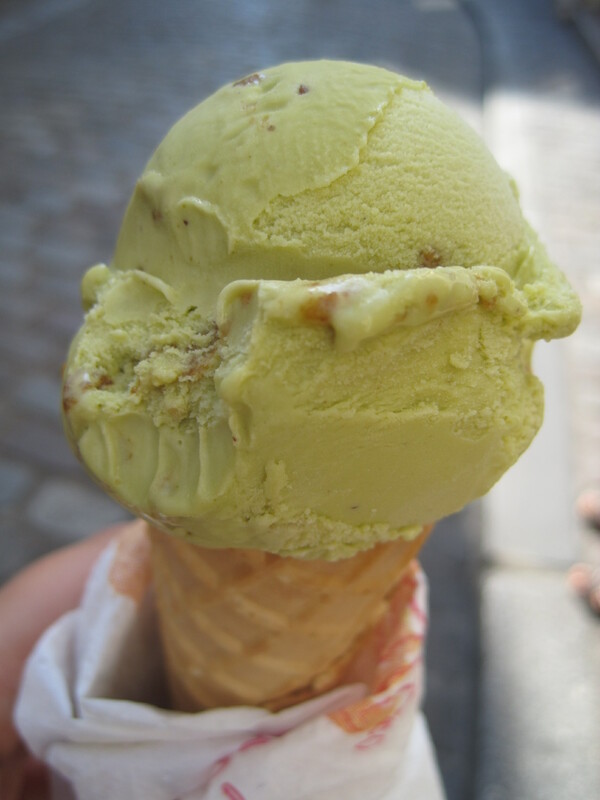 I picked up this pistachio cone outside the Basilica Sacre Coeur. We didn’t go inside, but enjoyed street performers and took in the lovely view from way up high. Pistachio is a popular flavor in Paris, even McDonald’s advertises it. Paris has lots of outdoor markets which look like our Farmer’s Markets. 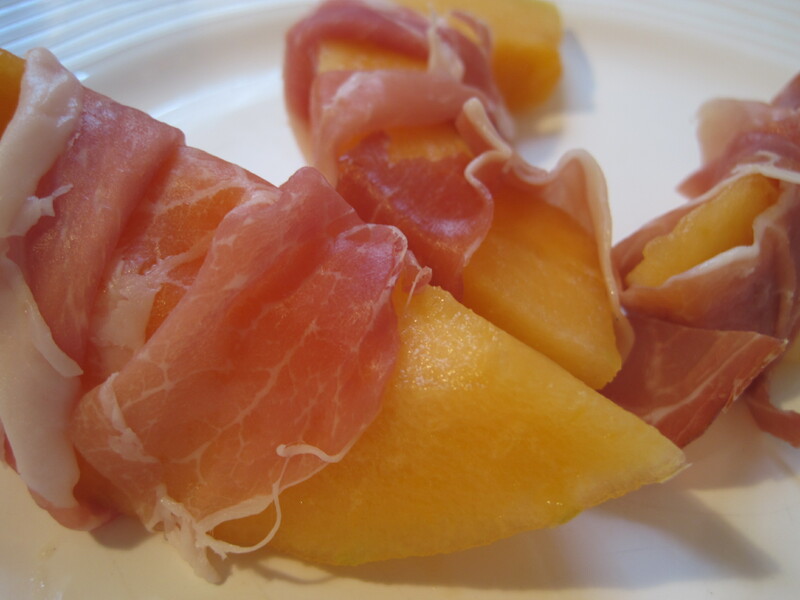 We shopped at a couple of them and prepared some food in our little apartment kitchen, such as this melon and prosciutto appetizer. Oh, the Rose Bakery, so lovely I went there twice. Three times for Lindsay since she arrived in Paris a few days before I did. 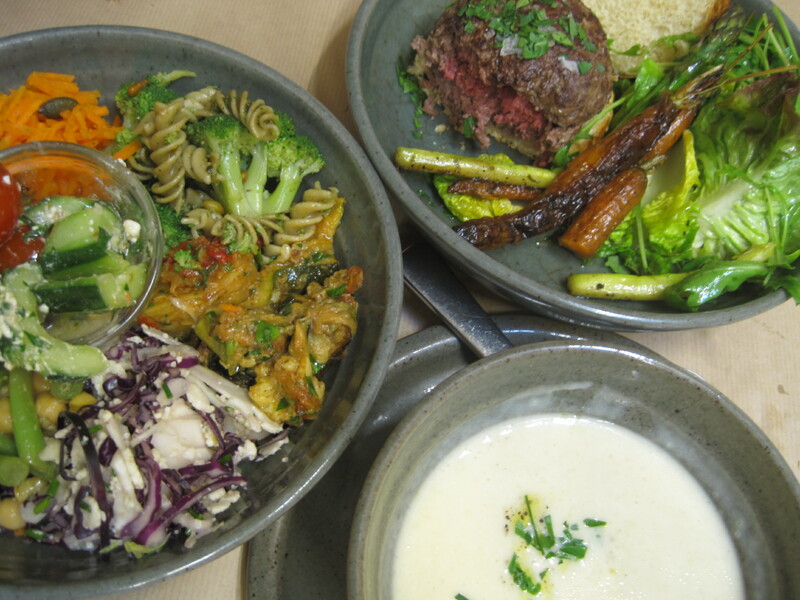 We shared their salad sampler, burger, and vichyssoise. Morning caffeination was puzzling in Paris. 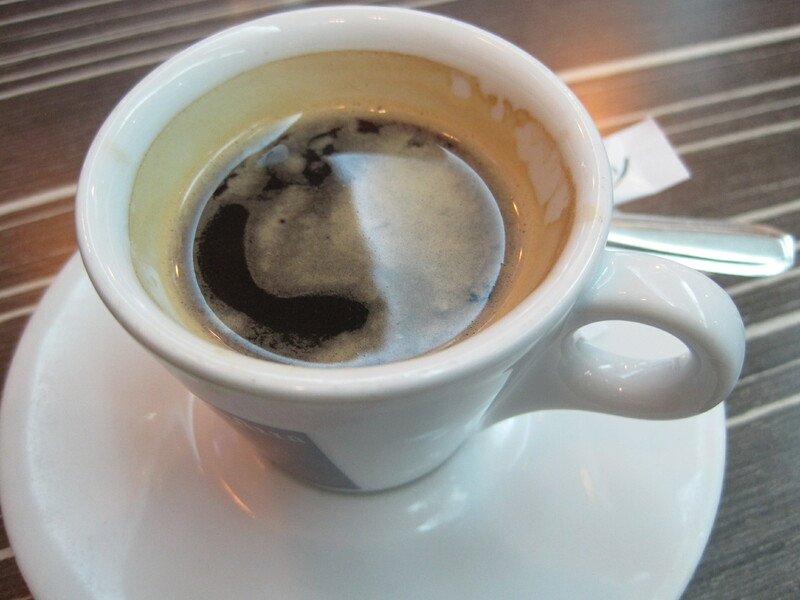 Ordering coffee in a cafe or restaurant led servers to believe you wanted to sit and stay awhile, a long while. Also it was quite pricey. Since we just wanted a quick coffee, we discovered the espresso bars in Tabac stores (which looked like smoke shops) to be the best solution. For 1 Euro you get a double espresso shot, no wait service involved. 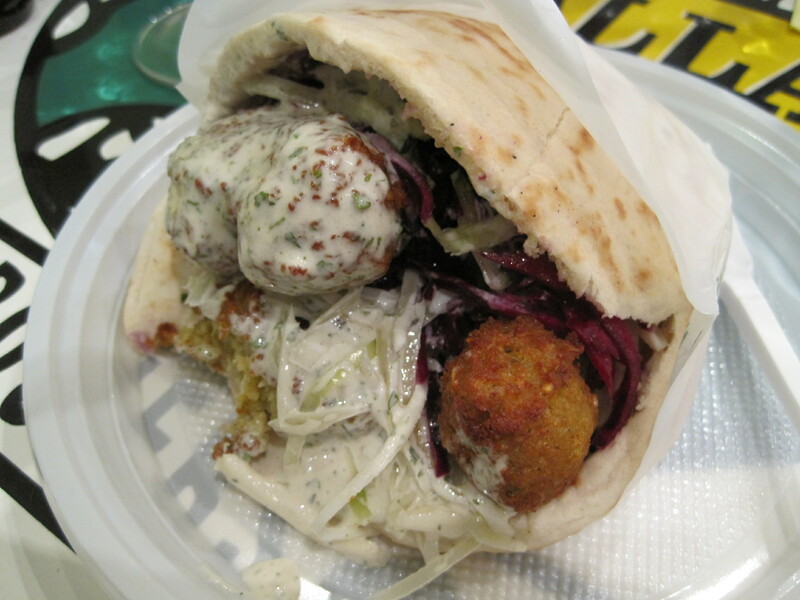 L’As du Fallafel did not disappoint. 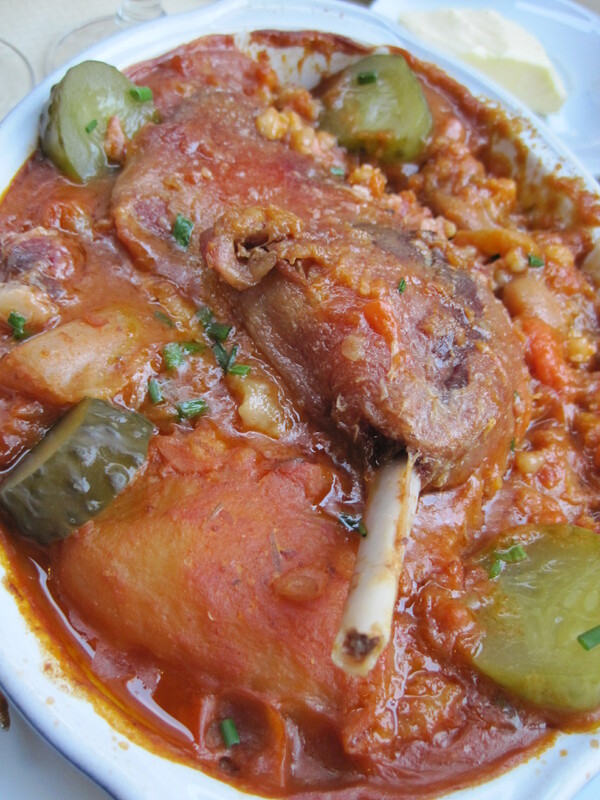 I was over the moon with this gorgeous first course at Pitchi Poi, which is now closed according to this review that sums it up so well: Jean Zylberman, nostalgic for his Little Country, presents kosher Yiddish cuisine in one of the most pleasant squares in the Marais. The square was breathtaking and we ate outside, I’ll never forget it. 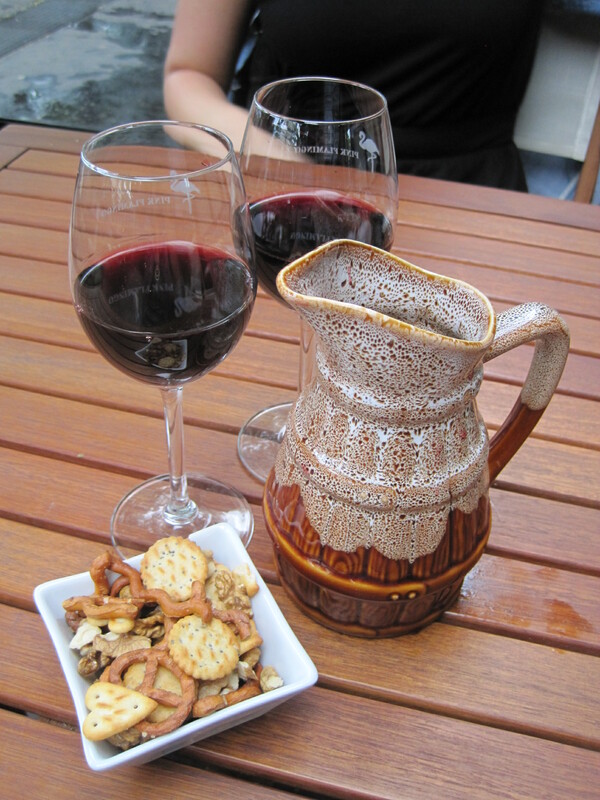 Lindsay’s favorite Seattle restaurant is Le Pichet, so she jumped at the chance to order un pichet of wine at a cafe near our apartment. What a way to spend an afternoon!